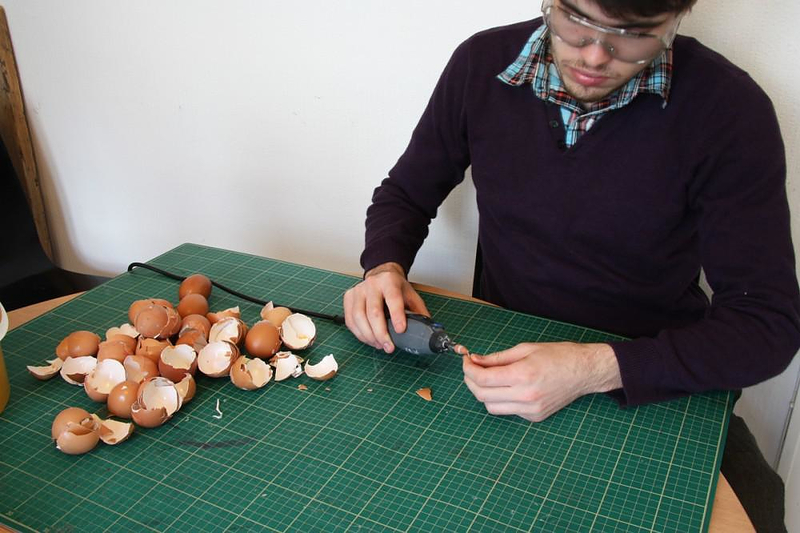 HomeBlogArtChicken Sculpture Made From Eggshells by Kyle Bean. 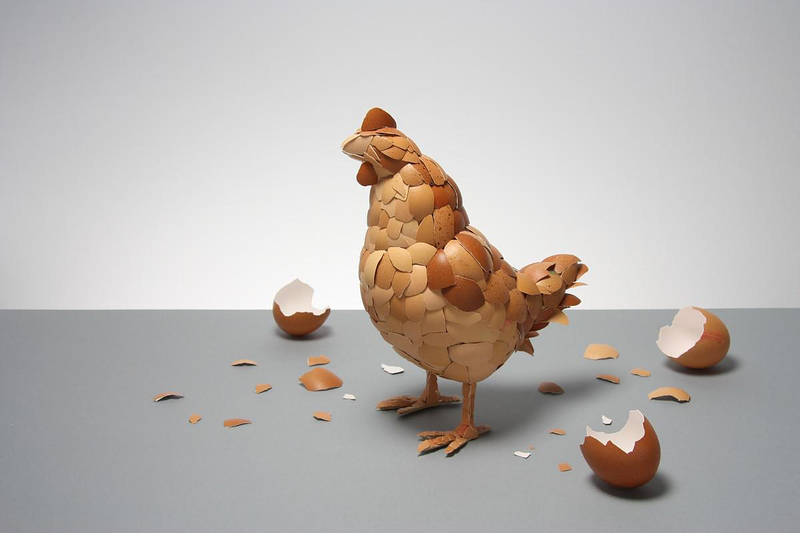 Chicken Sculpture Made From Eggshells by Kyle Bean. 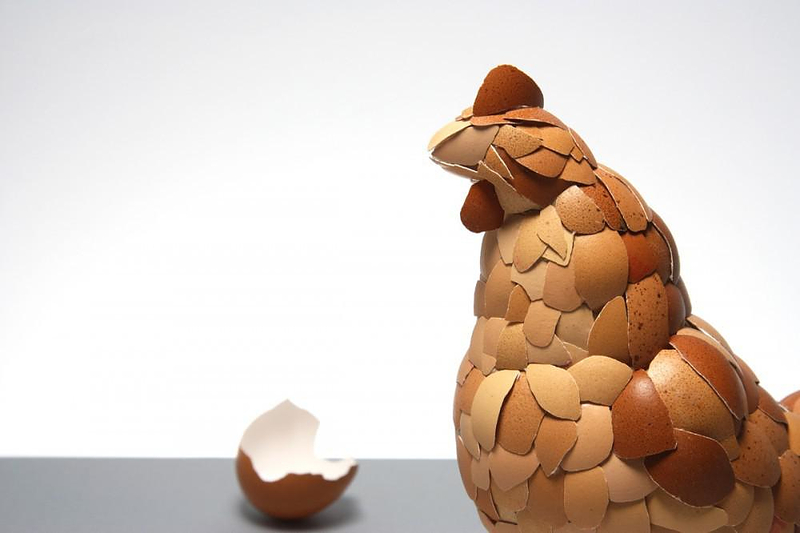 In light of the Easter holiday, here is an ingenious creation by UK based artist Kyle Bean with a strong allusion to Easter spirit. 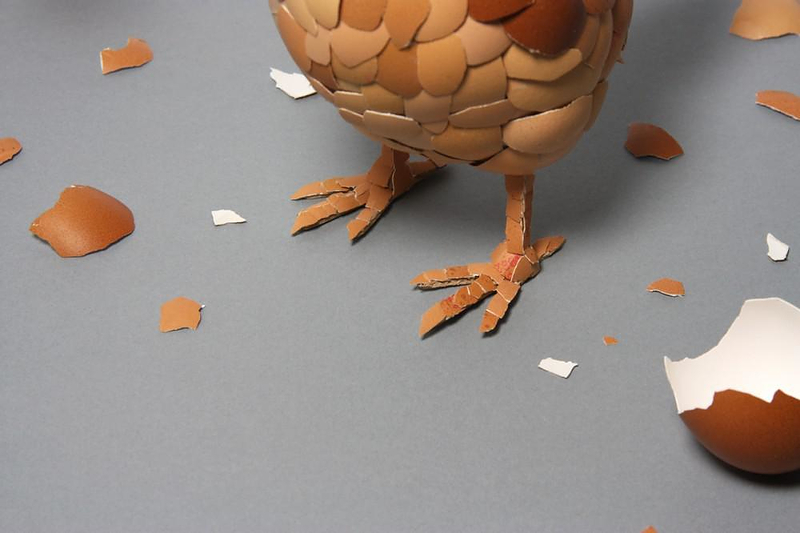 With a generous dose of good old British humor the artist presents a sculpture that is concisely described as a “chicken made from eggshells”. Kyle Bean presents the age old question “which came first, the chicken or the egg?” philosophical references to the Chicken and Egg intend to point out the futility of identifying the first case of a circular cause and consequence, and all of its philosophical implications. An interesting philosophical dilemma materialized as a “cheeky” sculpture. Art with Water and Fire by Jeppe Hein.